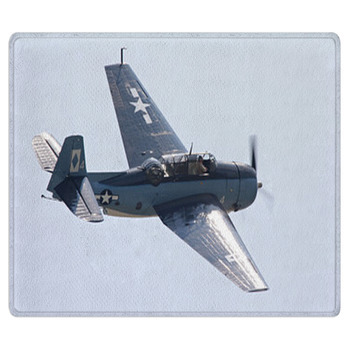 Pay special tribute to the men and women of the greatest generation with these cool World War II airplane rugs. 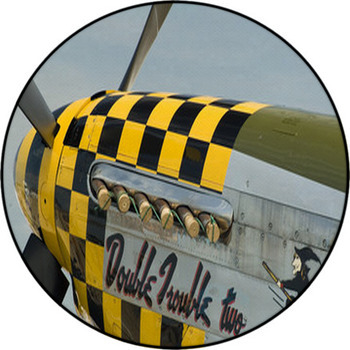 You can find photos and drawings of the most well-known aircraft models to fly in World War II, including the North American P-51 Mustang and the Lockheed P-38 Lightning. 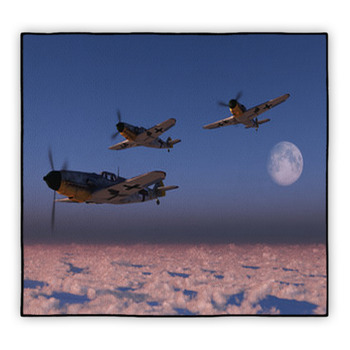 When placed on one of VisionBeddings area or carpet rugs, these images become a unique way to bring some of the spirit of this era into your home. 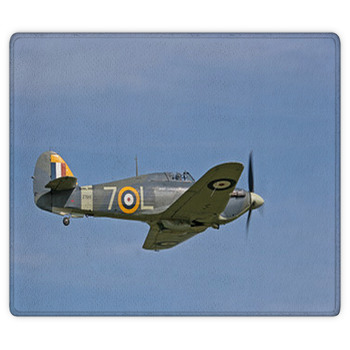 World War II airplanes were used in combat, fighter, reconnaissance, strategic, and transport missions. 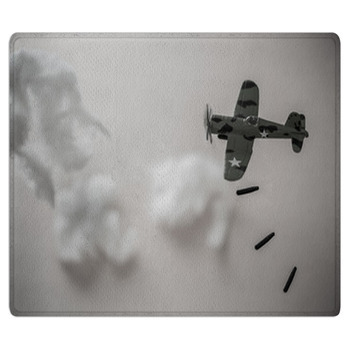 This was a war in which air power made a huge difference both on and off the battlefield. 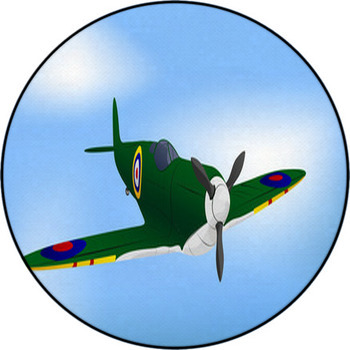 World War II pilots were incredibly fearless they ran missions in the face of overwhelming odds and did what they could to advance the cause of freedom. 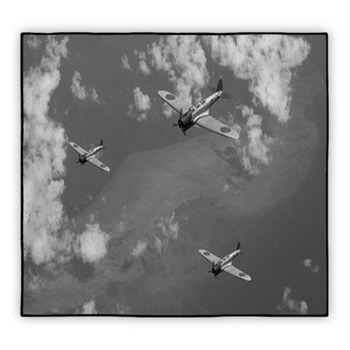 The World War II airplane rugs available from VisionBedding feature a variety of images, both photo-realistic and cartoon style. These are perfect for use as a way to show your love for the era. 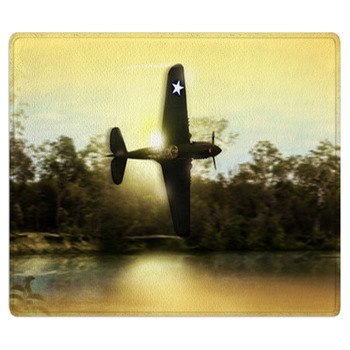 You can choose your favorite plane and place it in a prominent place in your home. 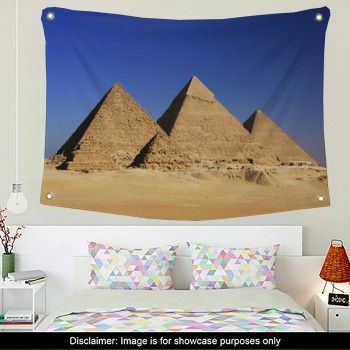 These rugs also work well in kids bedrooms. 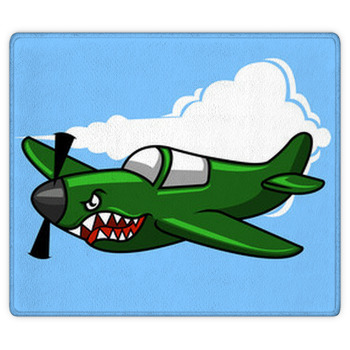 If you have a son or daughter who loves airplanes, they will love having a WWII plane rug of their very own. They can play with their military action figures while sitting on these fantastic rugs in their room. They work well on carpet, tile, hardwood floors, and more. 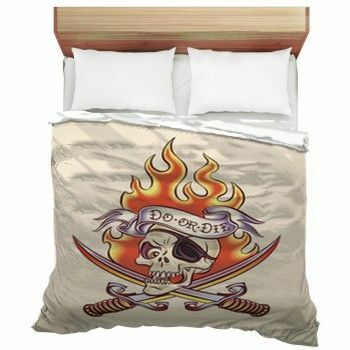 Get creative, and give VisionBedding a call if you need help designing your perfect plane rug.